35 years experience speaks to our ability to deliver quality solutions, exceeding industry standards and meeting all regulations and customer requirements. Customized solutions to your satisfaction. Delivered at a competitive price and On-time, every time. Our company has been built on it. Not only have we worked in a wide variety of industries, but we've had customers come back for almost all of our 30 years. Our success has been built on their success. 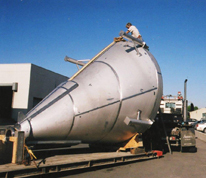 Metal Fabrication and Welding Our metal fabrication services are offered in conjunction with welding capabilities in order to deliver projects and products of all sizes and complexities. Assembly and Installation We assist you with custom installations and innovative on site solutions for your unique products. We are not satisfied until you are up and running. 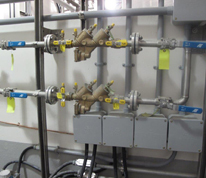 Pipes and Fittings We manufacture, supply and install a variety of piping and fittings for multiple industries. 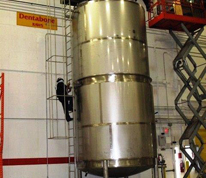 Our capabilities include wide-ranging materials as well as pipes and fittings capable of withstanding high pressures. 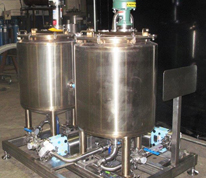 Platforms and Systems We manufacture high quality platforms and systems that are specifically engineered and custom designed for your purposes and specifications. Equipment and Controls We partner, advise and work with you and your suppliers to make sure our solutions are complete. 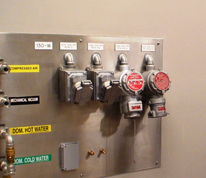 Integrated controls as well as mechanical and safety equipment are part of our full service solutions. Welcome to Filor Industries Inc.
At Filor Industries Inc. we specialize in the design, manufacture, and installation of fabricated products of all sizes. With over 35 years of experience, you can be sure that your custom metal project, no matter how complex or unique, will be in good hands with Filor. Our experienced team of professionals are dedicated to delivering solutions that are cost effective, manufactured to exacting standards and delivered on time.